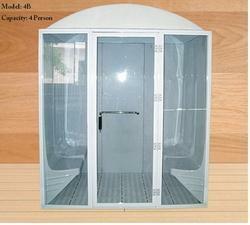 Welcome to Steamers India Modular Steam rooms. 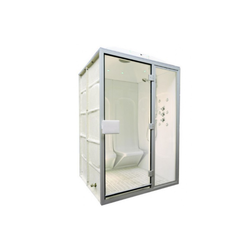 sit back and enjoy the cleaning penetrating effect Steamers India Modular Steam Room suit can have, you can choose any type, we provide all size and any extra thing you like. Roman Style Steam Rooms are suitable for hotels, public bathing facilities and spas or the perfect complement to any home. all size and any extra thing you like. Due to our enormous understanding and massive knowledge of this business, we are involved in offering Steam Room. 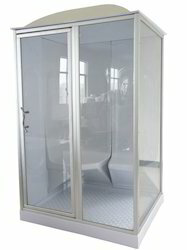 Enriched with years of experience in the industry, we are engaged in offering Prefabricated Modular Steam Room 2 Seater. We have been counted amongst the most trusted names in this domain, engaged in providing Prefabricated Modular Steam Room 4 Seater. Number of Seater 4 Seater. 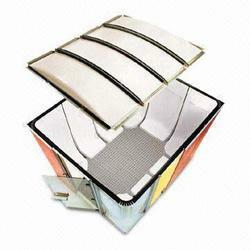 Steamers India Roman Style Steam Rooms are suitable for hotels, public bathing facilities, and spas or the perfect complement to any home. Our Deluxe 4B Steamers India Roman Style steam room is on display at our centrally located showroom in Kondhwa Pune Maharashtra – please feel free to visit us in order to examine our unit in more detail and discuss your specifications with our sales team – or alternatively simply call for further assistance.